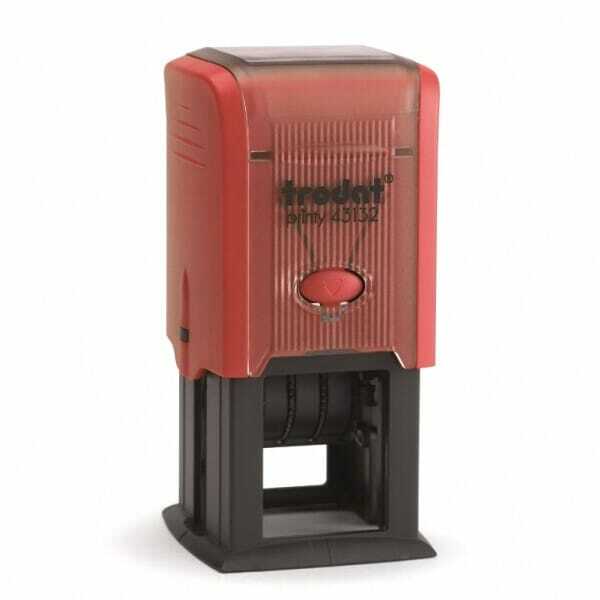 Self-inking date stamp with a square impression - create a text plate for your personal application! Printy Dater 43132 has an impression size of 32 x 32 mm, you can place up to 2 lines of text above and below the date. The 3 mm date prints in the centre and features day, month and year for 12 consecutive years. The stamp is supplied as standard with a black ink pad 6/43132. Customer evaluation for "Trodat Printy Dater 43132 32 x 32 mm - 2+2 lines"